If it’s to do with electrical, then it’s to do with Wilmar, where sales and service go hand-in-hand. Not only do we sell TVs, washing machines, dishwashers and tumble dryers, but we will install and service them as well. Vexed by your vacuum? Well we sell them too! Confused about digital TV? 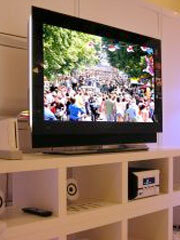 Flummoxed by freeview and freesat or just wondering what High Definition means to you? We can help and ensure you get the right package that meets your requirements. Home visit needed for that minor electrical repair – then ring us first – with no job too small. Over 140 great digital TV and radio channels, including high definition (HD) programmes from the BBC and ITV. We install and supply Freesat/Digital TV Aerials as well as Freesat TVs and Freesat Digital.